We tend to be techies here at No Kids and are often early adopters of new technologies. We had a DVR when TiVo was the only game in town. We got a plasma TV when LCD was the only alternative and LED hadn’t been introduced yet. We even got on to platforms like Twitter really early, too, when there were 18 million users compared to the 328 million users there are today. Yet, it took me a very long time to try virtual reality. I just couldn’t find a use for it other than a simple distraction, not to mention the start-up cost seemed really high until recently. 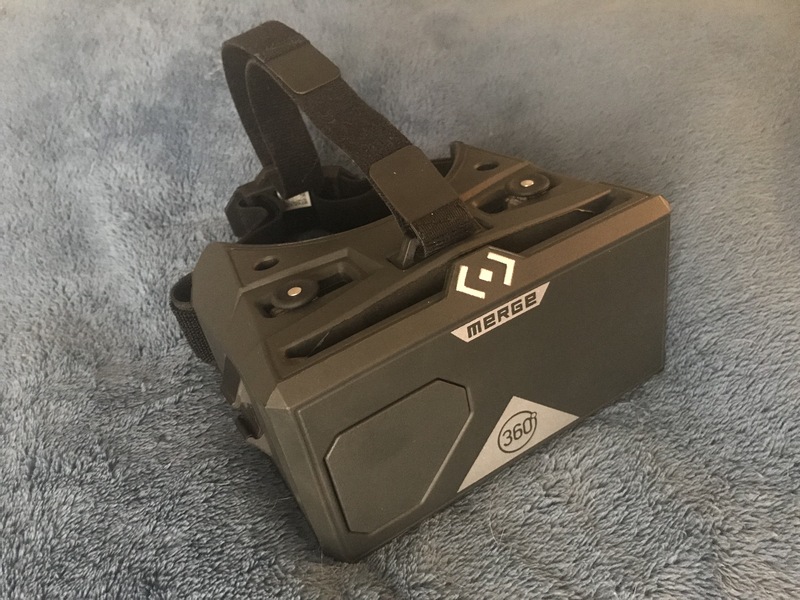 I finally bit the bullet and decided to spend a little money ($50, about the same amount it cost to fill up the tank in my Jeep a few years ago) and buy the best VR headset for the lowest cost that would work well with my phone. I settled on the Merge VR, a headset made out of molded foam with simple functionality. The Merge Miniverse is a store on their website with a large selection of apps for VR beginners and has been a place to play around and get used to the concept. I had to explore the net to find the travel-based apps. I’d seen virtual tours of places on my laptop but now wanted to try them in a true 360° experience. 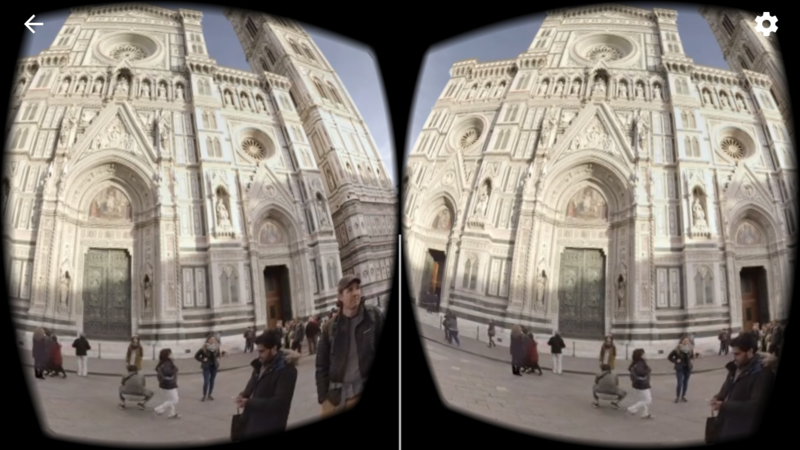 I was disappointed in the Apple app store when they didn’t offer a VR tour of the Uffizi in Florence or even one to explore the Colosseum in Rome. But I was able to find a few videos on YouTube to get my fix. I went to Italy in Virtual Reality and found a good collection of 360 videos on some of my favorite spaces. The videos aren’t interactive but you can turn your head in any direction and see what is around you. The tour of Florence, Italy by TravelingMel is pretty good, too. The tour guide explains the history and significance of the location and you stand in one spot and look around. I really enjoyed walking across the Ponte Vecchio in Florence and taking a tour of the Piazza Del Duomo, being able to look up and see the bell tower and then turn behind me and see Ghiberti’s Doors on the Baptistry. The experience is good and we can’t wait to show our parents. I think the VR experience still needs a little work. You can see the sites and in some cases move around the virtual landscape but it lacks a few of the important experiences, like touch and taste. We won’t be giving up exploring the world in real life anytime soon but VR is certainly a way of getting a fix of a sunny place you love.